The Hubble Space Telescope isn't the only satellite that scientists have fought to keep alive beyond its scheduled retirement. Scientists also went to bat for a satellite called EO-1, short for Earth Observing 1, back in 2001 when the end of its one-year mission was looming. The motivation in both cases was similar: like Hubble, EO-1 represents a "quantum leap" over its predecessors. Losing EO-1 would have been a great loss for the scientific community. EO-1, which gazes back at Earth's surface instead of out at the stars, provides about 20 times more detail about the spectrum of light reflecting from the landscape below than other Earth-watching satellites, such as Landsat 7.  That spectral information is important, because as sunlight reflects off forests and crops and waterways, the caldron of chemicals within these objects leave their "fingerprints" in the light's spectrum of colors. Analyzing that spectrum is a powerful way for scientists to study the environment and assess its health, whether it's measuring nitrate fertilizers polluting a lake or a calcium deficiency stressing acres of wheat fields. Landsat 7 measures only 8 points along the spectrum; in contrast, EO-1 measures 220 points (with wavelengths between 0.4 to 2.5 µm) thanks to the prototype Hyperion "hyperspectral" sensor onboard. That means that EO-1 can detect much more subtle fingerprints than Landsat and reveal a more complete picture of the chemicals that comprise the environment. As a NASA New Millennium Program mission, the original purpose for EO-1 was just to "test drive" this next-generation Hyperion sensor and other cutting-edge satellite technologies, so that future satellites could use the technologies without the risk of flying them for the first time. It was never meant to be a science data-gathering mission. But it has become one. "We were the only hyperspectral sensor flying in space, so it was advantageous to keep us up there," says Dr. Thomas Brakke, EO-1 Mission Deputy Scientist at NASA's Goddard Space Flight Center. Now, almost three years after it was scheduled to be de-orbited, EO-1 is still collecting valuable data about our planet's natural ecosystems. Scientists have begun more than a dozen environmental studies to take advantage of EO-1's extended mission. Topics range from mapping harmful invasive plant species to documenting the impacts of cattle grazing in Argentina to monitoring bush fires in Australia. Not bad for a satellite in retirement. Read about EO1 at eo1.gsfc.nasa.gov. See sample EO-1 images at http://eo1.usgs.gov/samples.php. Budding young astronomers can learn more at spaceplace.nasa.gov/eo1_1.htm. 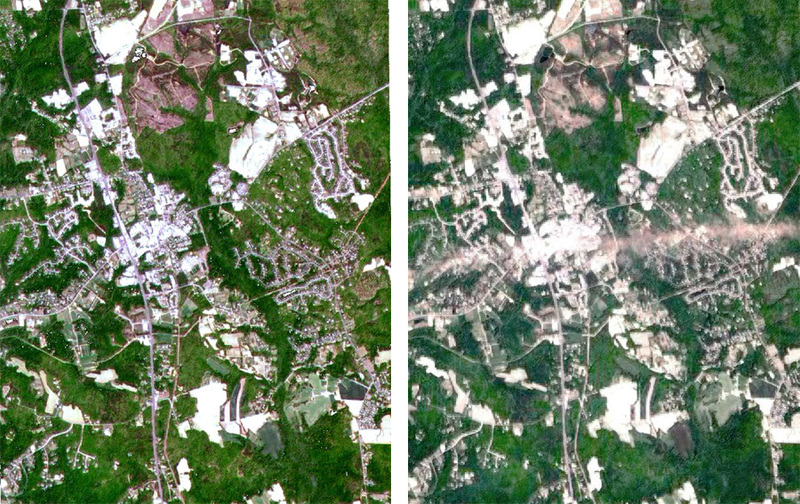 These images, made from EO-1 data, are of La Plata, Maryland, before and after a tornado swept through May 1, 2002.